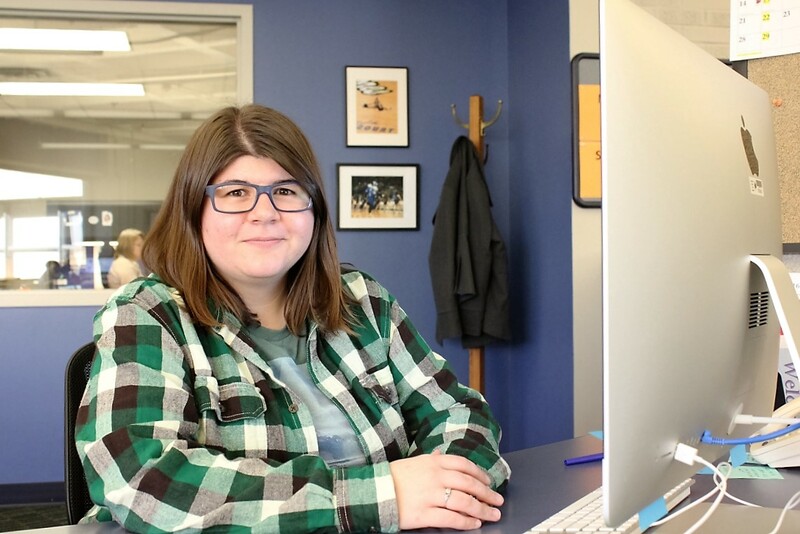 Indiana State University student Carey Ford, editor in chief at the Indiana Statesman student newspaper, is one of five national winners of a scholarship from the Education Fund of the American Copy Editors Society. In addition to the $1,000 scholarship, the award includes an expense-paid trip to the ACES three-day, skill-building conference March 31-April 2 in Portland, Ore. The American Copy Editors Society is a membership organization, which aims to advance copy editors. ACES serves as an educational tool for its members by providing them common ground to share experience and address frequent issues. It is comprised of editors from all over the world working for newspapers, websites, magazines, Fortune 500 companies, traditional media outlets, as well as freelance editors, professors and their students. The society's Education Fund, a nonprofit organization, awards scholarships to students who have a passion for editing. "In applying for this scholarship, Carey competed against students from some of the most noted journalism programs in the country," said Martha Milner, director of student publications at State. "That is a testament to her hard work and her commitment to serving readers by editing stories to be clear and concise, and without error." In addition to Ford, a student from the California Institute of Technology won $2,500, and two students from the University of Missouri and one from the University of Maryland also won $1,000 scholarships. Milner has worked with Ford at the Indiana Statesman for about a year and a half. Ford credited Milner for much of her progress in journalism, editing, writing and designing. "Her honesty and willingness to help after hours helped me grow as an editor," Ford said. Aside from the practical influence Milner has had on her university career, Ford has also acquired skills from State professors Mark Lewandowski and Thomas Derrick. Derrick began mentoring Ford while in her earlier years of pursuing an undergraduate degree in writing and editing. Ford went on to win the undergraduate Bakerman Student Research Award under his advisement. The award is granted annually to students who are recognized for a course-submitted research paper. The research paper must exhibit analytical skills, while using the proper research procedure. Subsequently, Lewandowski took an interest in her creative writing skills and helped provide the spark necessary to finalize her decision to become a writer. With the conclusion of her senior year drawing near, Ford is preparing to embark on the next chapter of her life. "After graduating, I plan on attending graduate school to further expand my skills in writing and editing," Ford said. "I have dreams of one day becoming a published author." From playing an active role in the Indiana Statesman and the Creative Writing Society to being published in State's journal of the fine arts, "Allusions," Ford has worked to expand her experience and to build a portfolio of work during her time at the university. "Carey has risen in the ranks of the Indiana Statesman from copy editor to chief copy editor to editor-in-chief. While working as chief copy editor, she developed an interest in newspaper design and added the role of designing the paper to her responsibilities," Milner said. "Because of her work ethic and her desire to continually develop and improve her writing and editing skills, I fully expect her to achieve the career goals she has set for herself." Indiana State University student Carey Ford, editor in chief at the Indiana Statesman student newspaper, is one of five national honorees of the American Copy Editors Society.